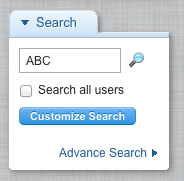 Search for contacts in the [Search Box] of the left panel. 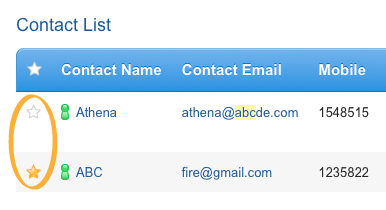 Click the [Star] icon next to the contact name to tag contacts which you want. Go to [Tagging Basket] by clicking the icon on the top bar. On the bottom of [Tagged Items], you can see some buttons for bulk action. 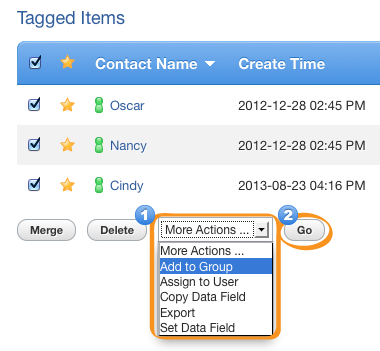 From drop-down menu [More Actions], select [Add to Group], then click the [Go] button next to it. In the [Action] field, choose [Append to Group]. In [Group] field, depending on your need, choose either [Test Send Group (Email)] or [Test Send Group (SMS)], then click the Save button.